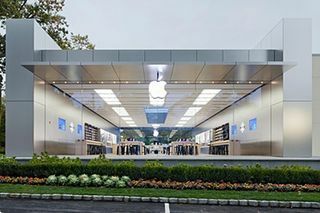 "Apple wants to be cool and modern and have the type of architecture that would appeal to the tech crowd," said the plaintiff's attorney (probably making air quotes around "cool," "modern," and "tech crowd," at a minimum), "but on the other hand, they have to appreciate the danger that this high-tech modern architecture poses to some people." Such as his client, who walked into some of it and broke her nose. 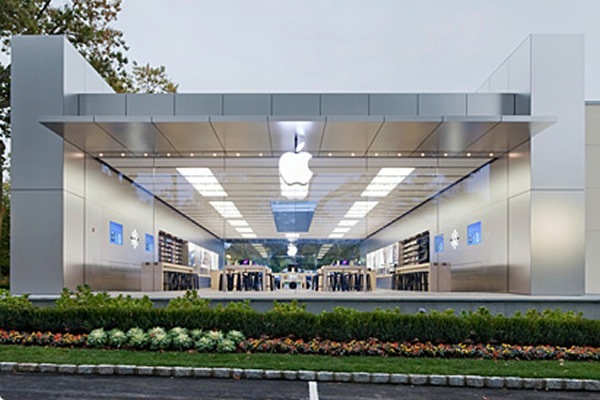 According to the New York Post ("'Pane' and Suffering at the Apple Store"), 83-year-old Evelyn Paswall alleges in her complaint that Apple "was negligent … in allowing a clear, see-through glass wall and/or door to exist without proper warning." This negligence proximately caused her nasal injury, she claims, by leading her to walk directly into said wall and/or door on December 13, 2011. It's apparently not the first time that somebody has walked into Apple's "high-tech modern architecture," although I'm not sure any of those people sued. According to MacRumors, the company has had "warning strips" on all its glass storefronts for at least a year, possibly as a result of those incidents. Some reports have said the strips were installed at this particular store only after Paswall's incident, but I don't think that's been established yet. According to Paswall's attorney, it doesn't matter anyway. "There were no markings on the glass or [if there were] they were inadequate," he argued in the alternative. Why inadequate? "My client is an octogenarian," he said. "She sees well, but she did not see any glass." But if the client sees well (something she also told the Post, noting that she still drives, and hopefully not through glass walls), then why does her age matter? Guess it can't hurt to throw that in there. But just because she was injured doesn't necessarily mean the markings (if there) were inadequate or that the defendant was negligent. People walk into things all the time; God knows I'm still trying to find out who's responsible for putting that lamppost right where I would walk into it. There are a lot of glass doors out there and I don't think having one equals negligence, although maybe Apple should put beepers on all its storefronts just to be extra-safe. Paswall, who was formerly vice-president of a fur company and so ought to know something about glass storefronts, for some reason is demanding $1 million.